I posted this project a few falls ago, but I love it so much I thought I'd share again! 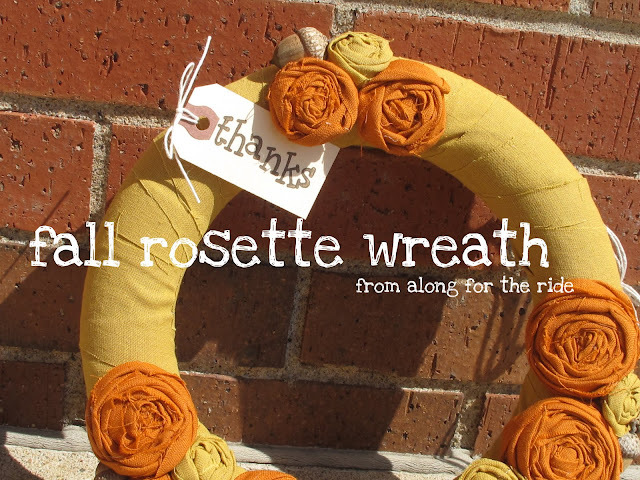 You will need a wreath form (dollar store! 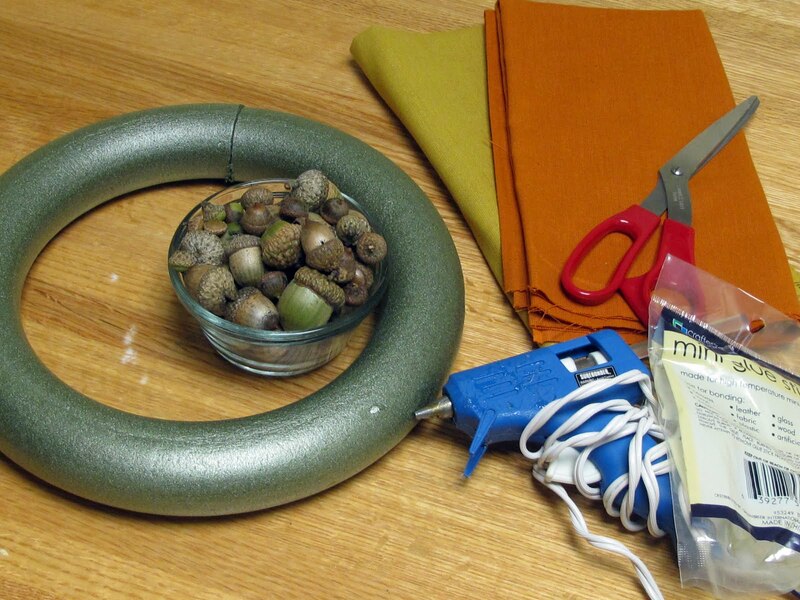 ), two colors of fall fabric, glue gun, glue sticks, scissors, and acorns (or any kind of natural elements...pine cones would be pretty, too). 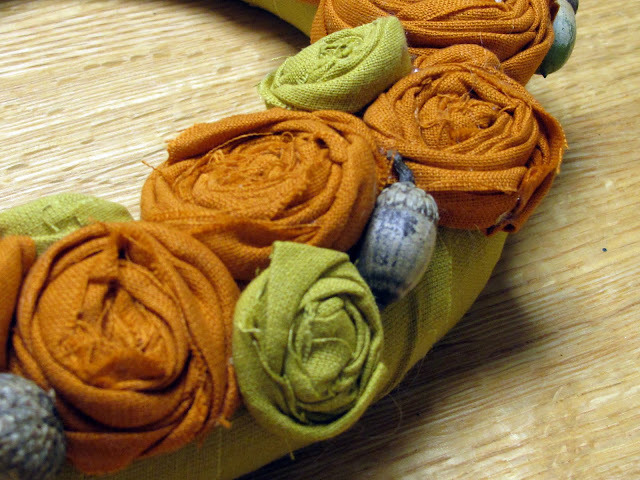 Choose one color to wrap around the wreath form, cut out strips of fabric (mine were about 3 inches wide) and go to town. 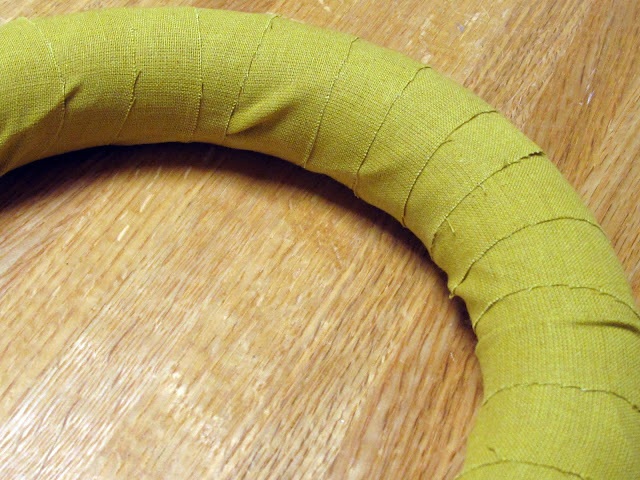 Use hot glue to attach the fabric strips. 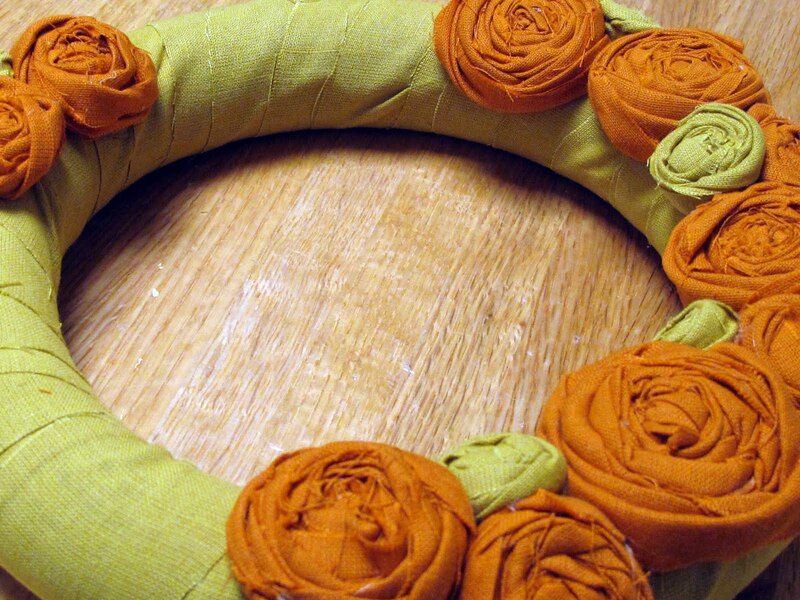 Set your wreath base aside and start making rosettes. There's lots of ways to do this, so feel free to customize. This is what I did. I wanted most of my rosettes to be orange with a few baby yellow ones. I cut out long, thick strips (about 2-3 inches) of orange fabric and a couple little strips of yellow fabric. 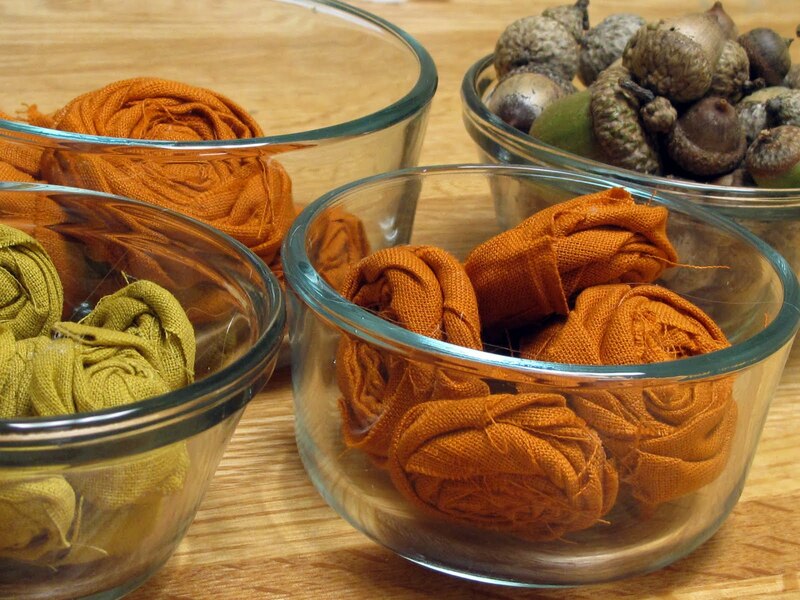 To make rosettes, tie a knot at the end of the strip, start wrapping and twisting the fabric around the knot, and glue as you go along. It's very simple once you get the hang out it. 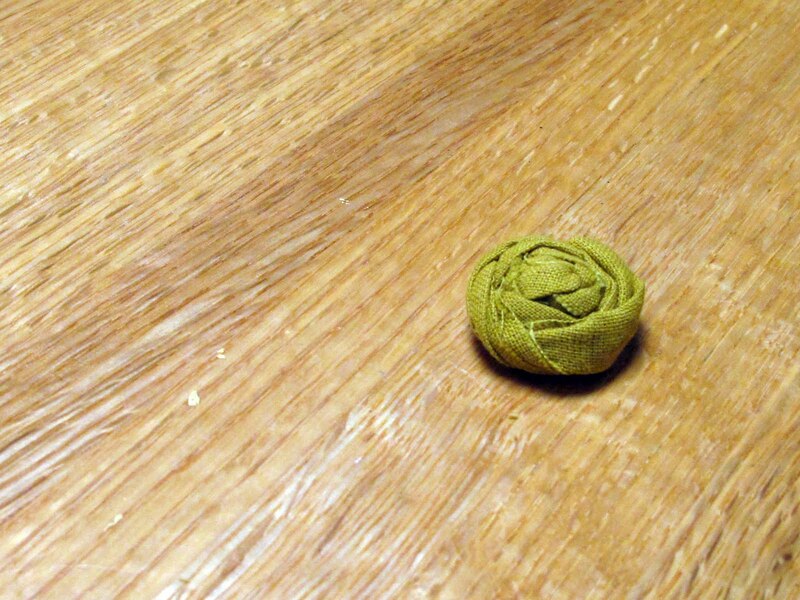 So make a rosette. And then make lots more. 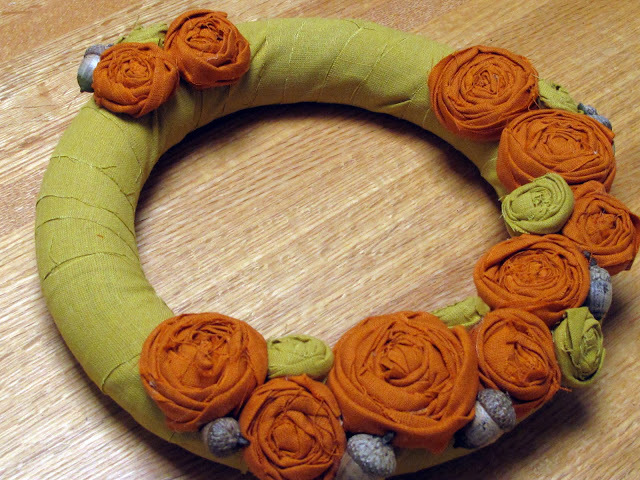 I made large orange rosettes, small orange rosettes, and baby yellow rosettes. 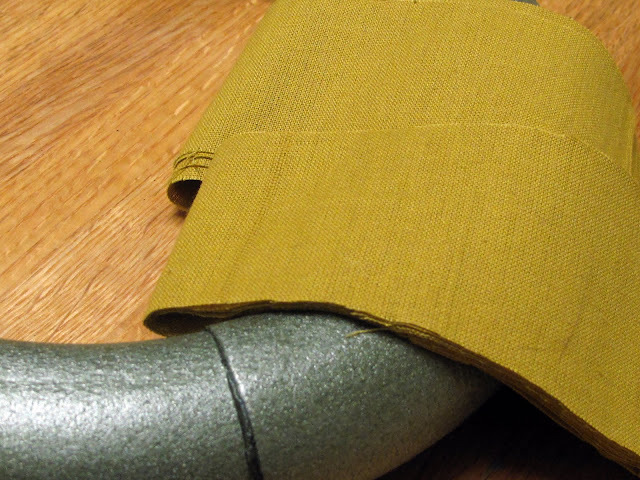 The size depends more on the thickness of your fabric than on the length. Now that you have your acorns and rosettes, it's time to assemble your wreath. There is no real science here. I just arranged things so it looked pretty. 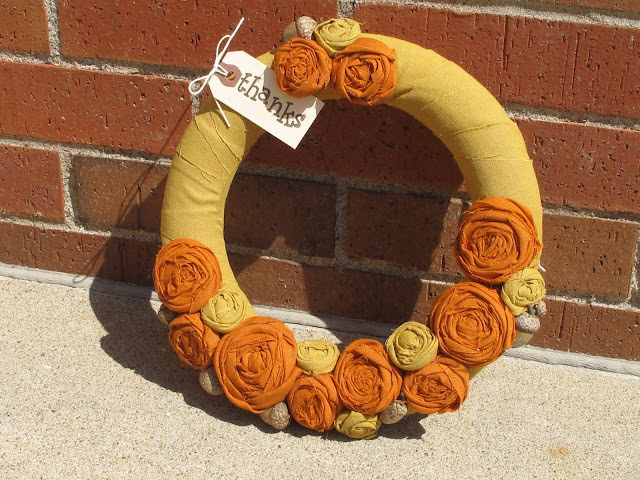 I'm a fan of off-set flowers, but you could fill the entire wreath with rosettes if you wanted, or you could just use a few. I used hot glue to secure all my elements. I used stamps and a simple key tag to add a little something special.